I have a covered boat dock. Spiders are a problem as they leave small black dots on the boat seat. Webs are everywhere. It is a wooden dock house. What do you recommend? I keep a boat on Lake Lanier under a covered dock and have the same problem. 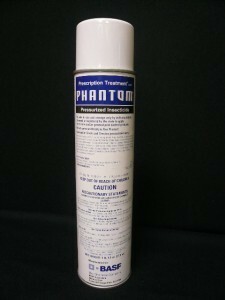 I use a unique aerosol we sell called PHANTOM that goes on “dry” when used properly. Unlike most aerosols, Phantom won’t mar my gel coat and when I use it correctly, it leaves no odor or other sign its been applied. Lightly mist around all the covers, railings and other spots on the boat where they like to make nests. 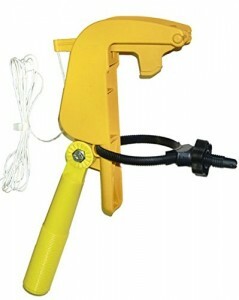 I find them on my anchor ropes, antenna, cup holders and more. Phantom works great on mud daubers too so I routinely spray all the air ducts and ports. Since the droppings come from above, I also spray the ceiling directly above my boat. I attach the aerosol can to the top of a 14 foot extension pole and using the string pull cord, lightly mist these areas once a month. These treatments stop spiders and mud daubers from above too. My ceiling isn’t too high so the 14 foot pole works fine for my needs but we also have a 30 footer if needed.